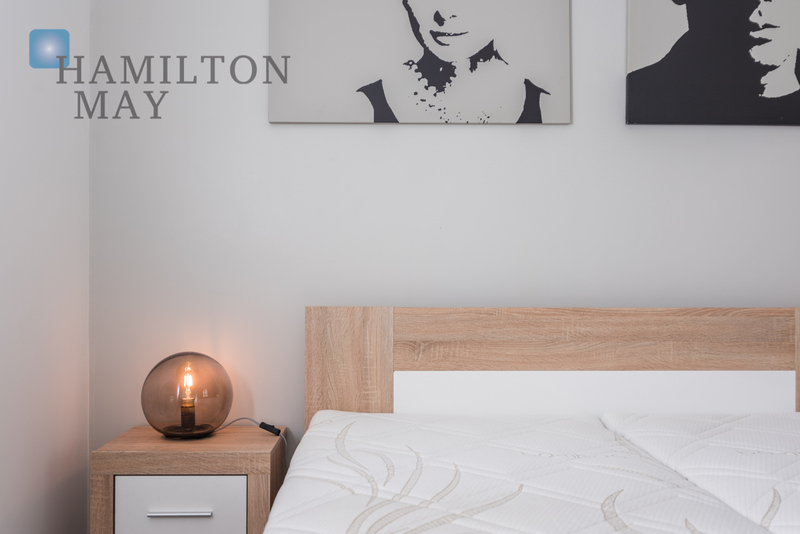 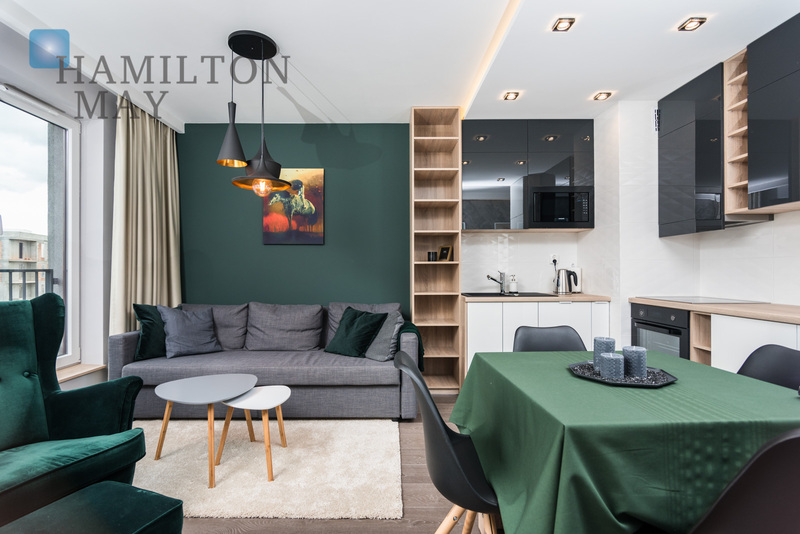 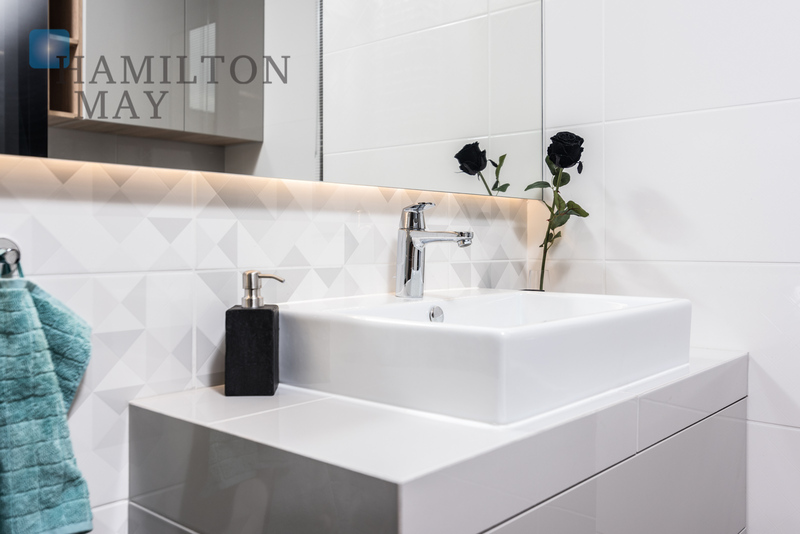 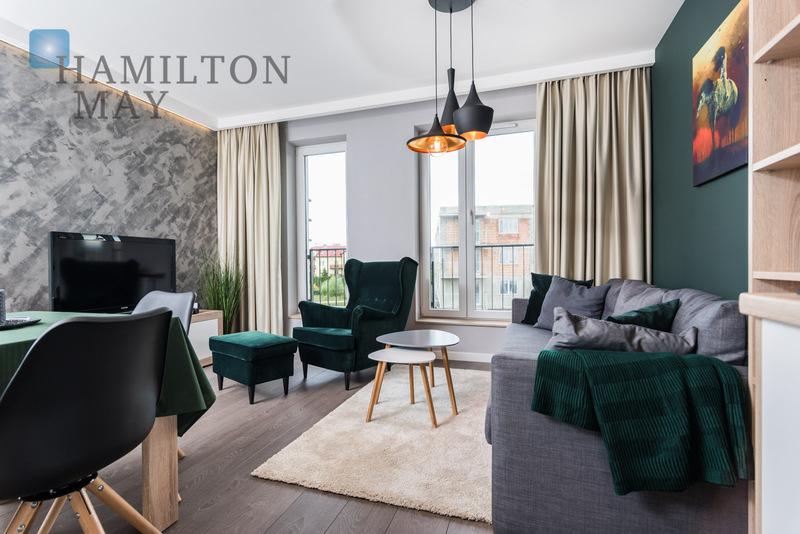 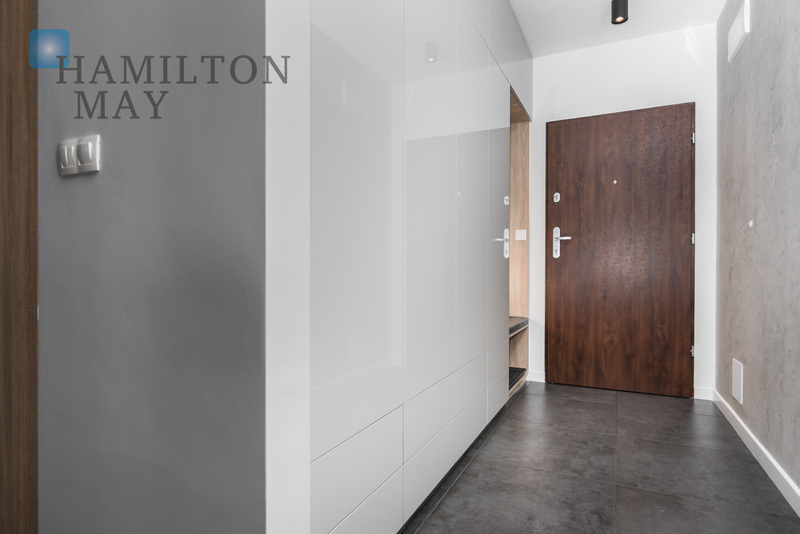 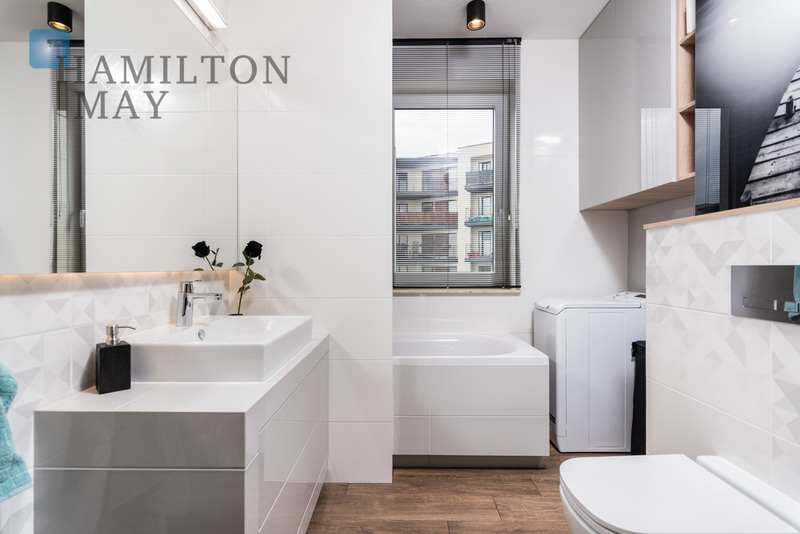 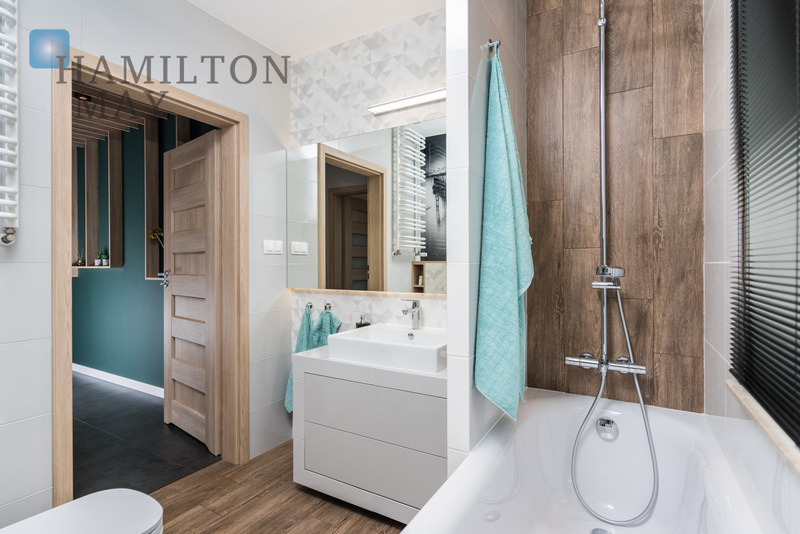 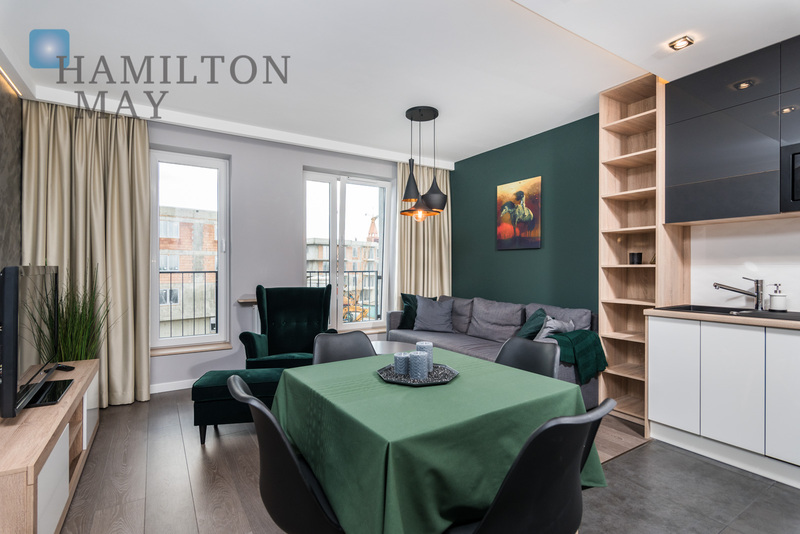 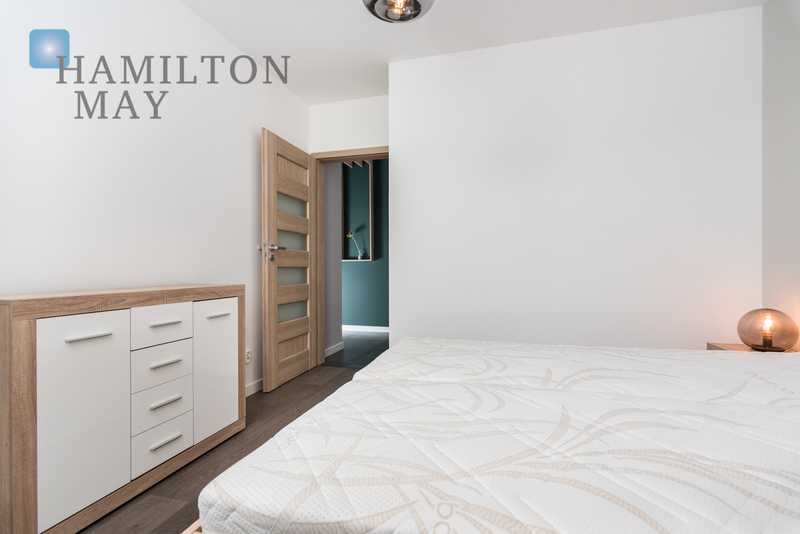 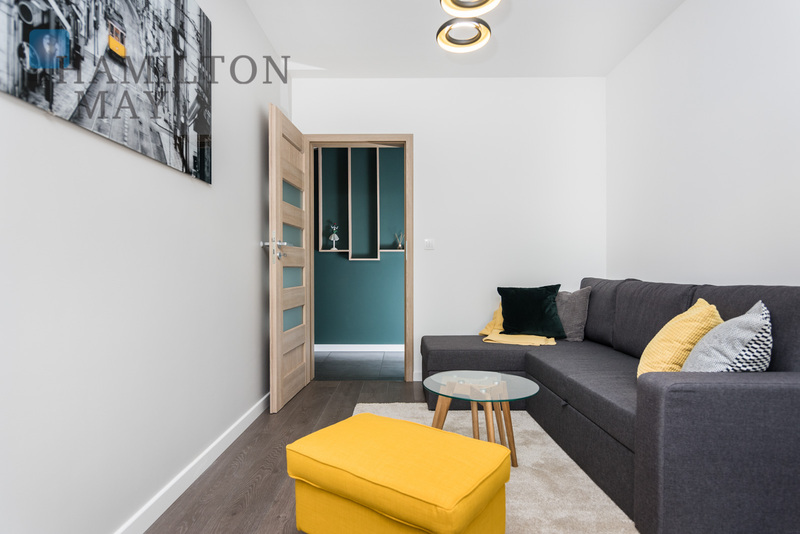 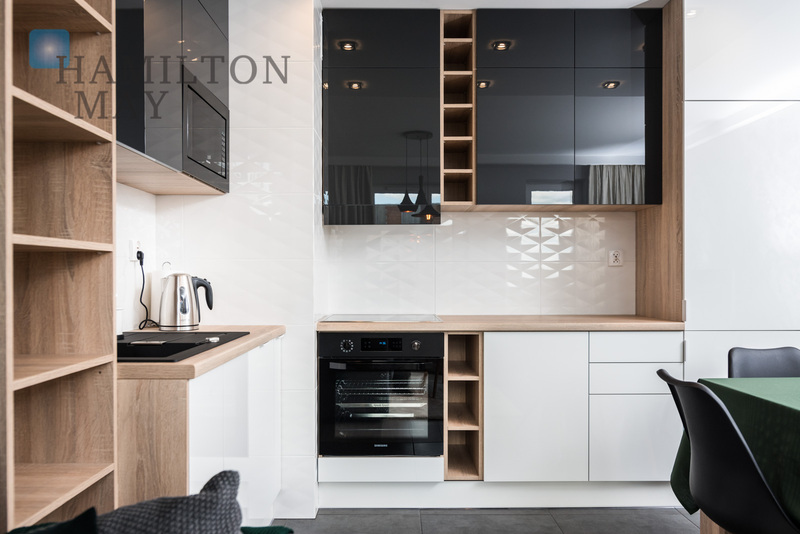 Hamilton May is pleased to present a modern and comfortable two bedroom apartment available for rent. 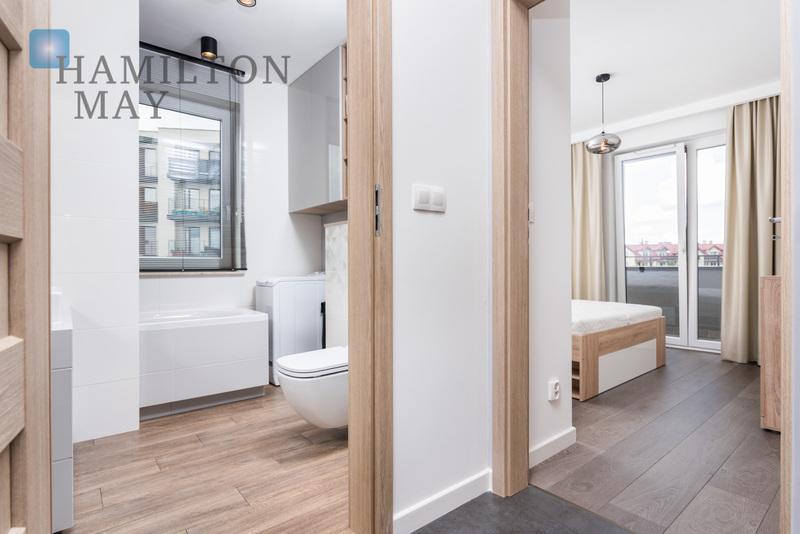 The presented apartment has 62m2 and is located on the second floor of a small, recently commissioned building. 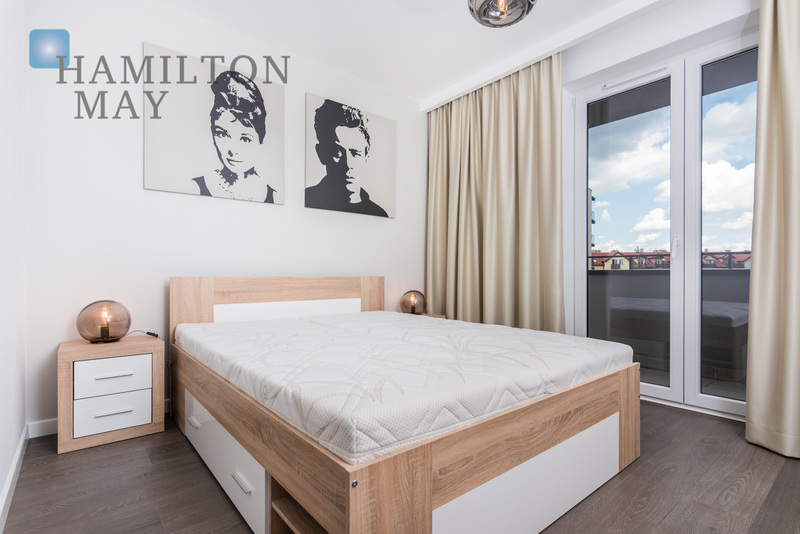 It features: - living room with access to a large, roofed balcony, and a fully equipped kitchen annex (a set of high-end appliances), - bedroom with a double bed, - study with access to a large balcony, - bedroom with sofa, with a window and bathtub that also acts as a shower (rain shower), - large hall with a capacious built-in wardrobe. 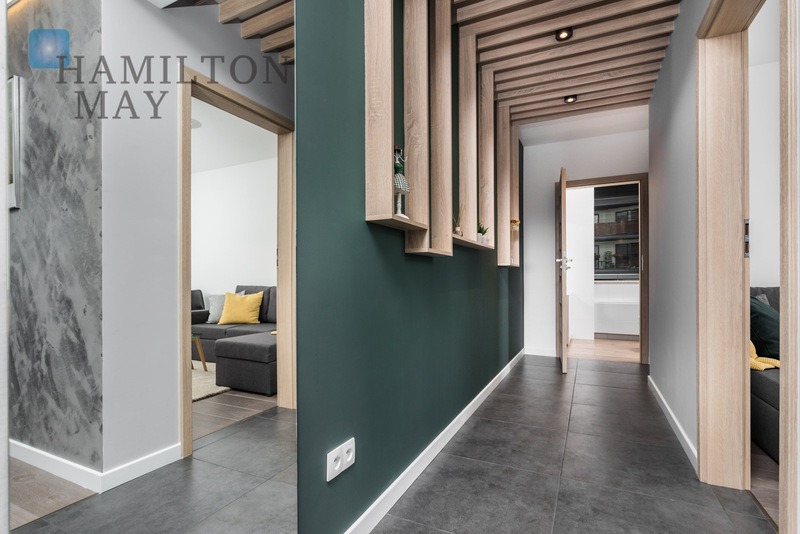 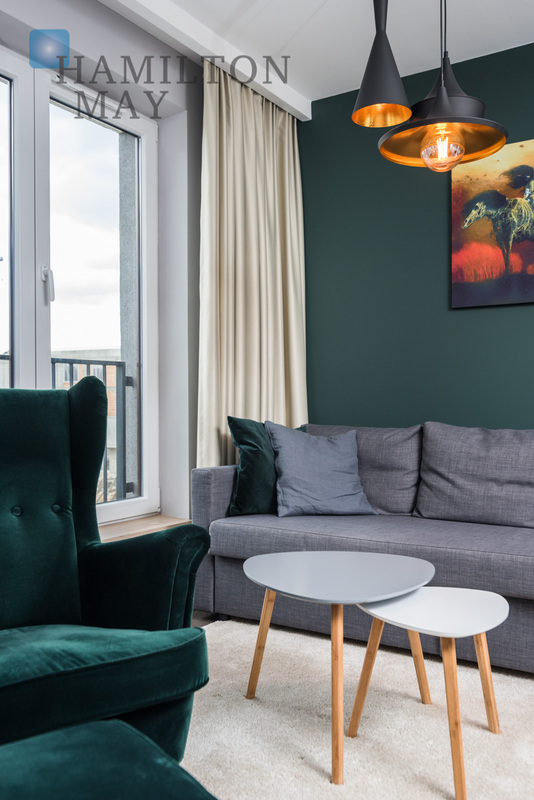 The apartment has been elegantly finished according to the architect's design and features beautiful wooden details, modern furniture and carefully selected artworks. 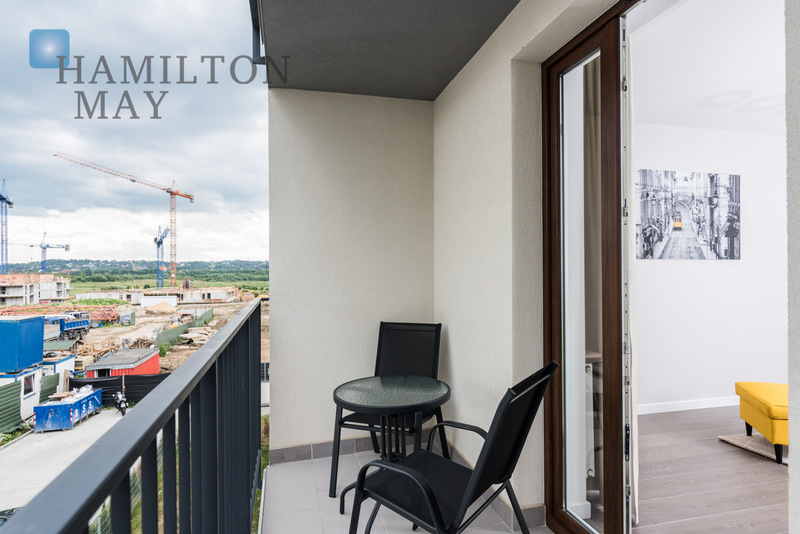 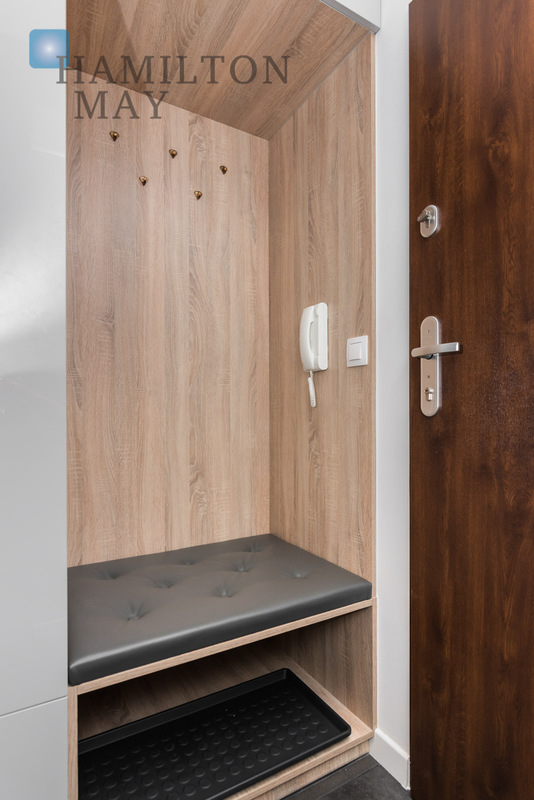 The building has 4 floors and comes fitted with a silent lift and an underground parking available to its residents. 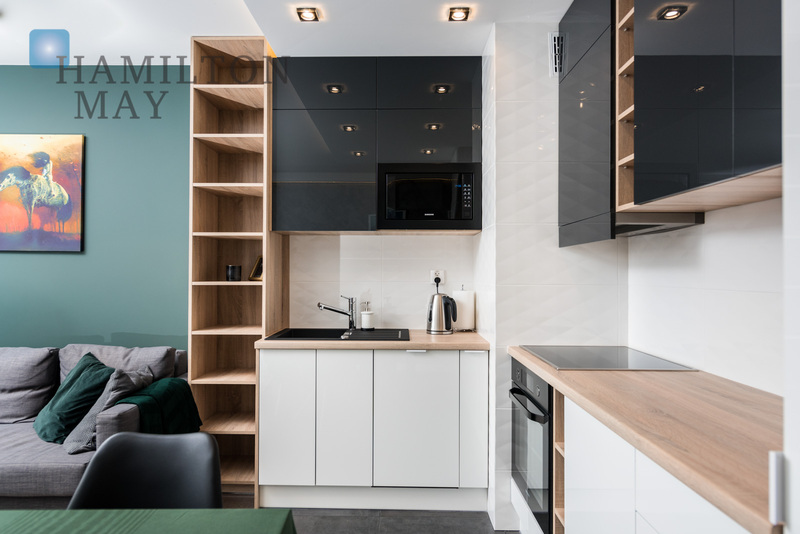 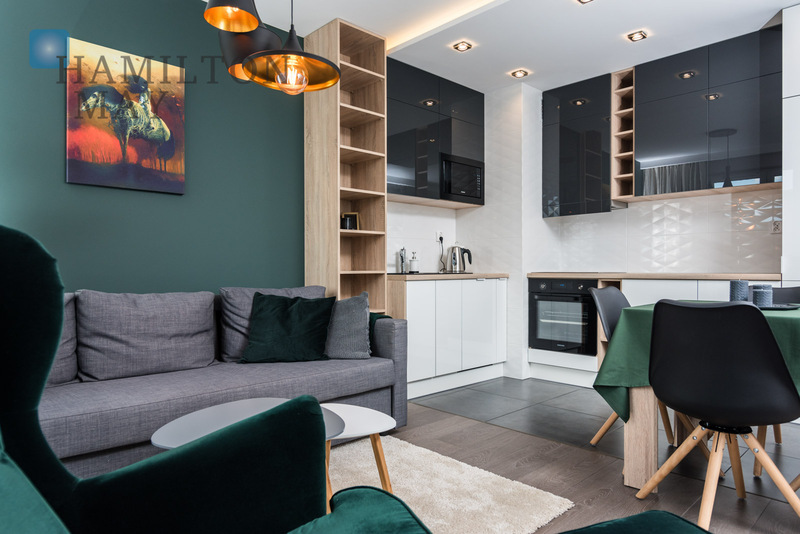 The apartment is located in the southern area of Krakow, in a quiet, picturesque part of the Dębniki district, in the Kliny Zacisze residential estate. 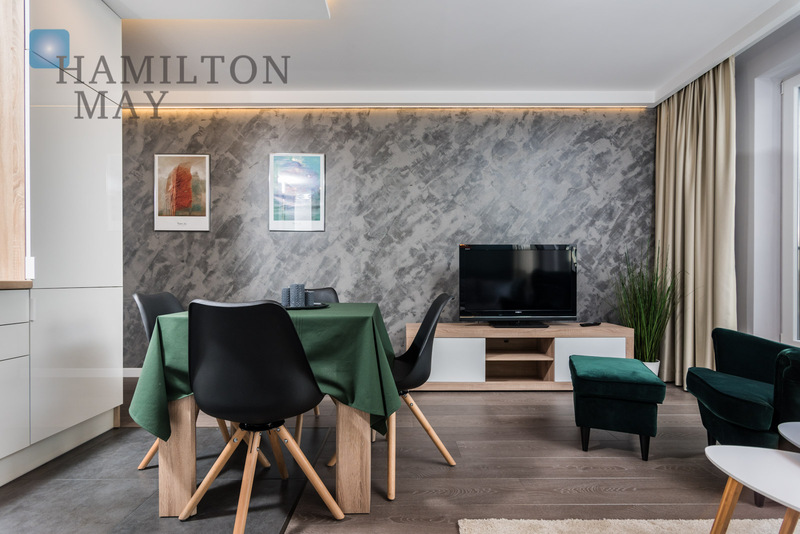 The area offers access to recreational areas, developed local infrastructure and convenient means of public transportation. 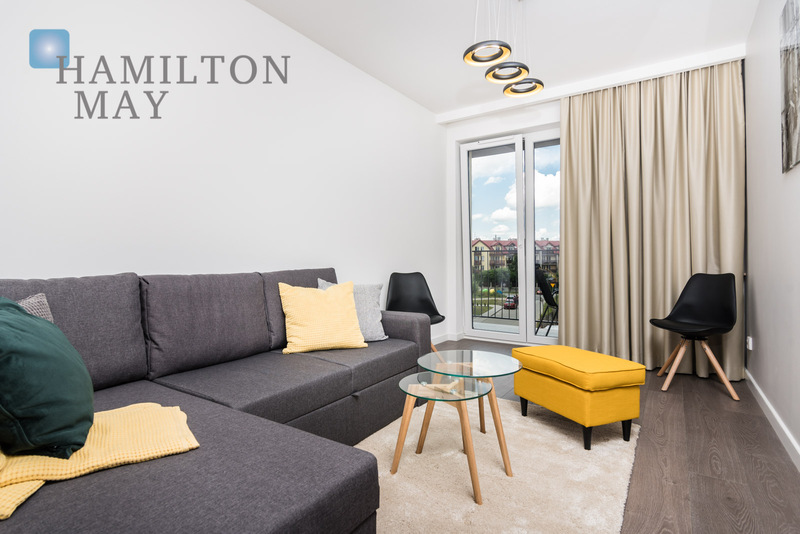 Finally, there is a nursery and a kindergarten located within the estate. 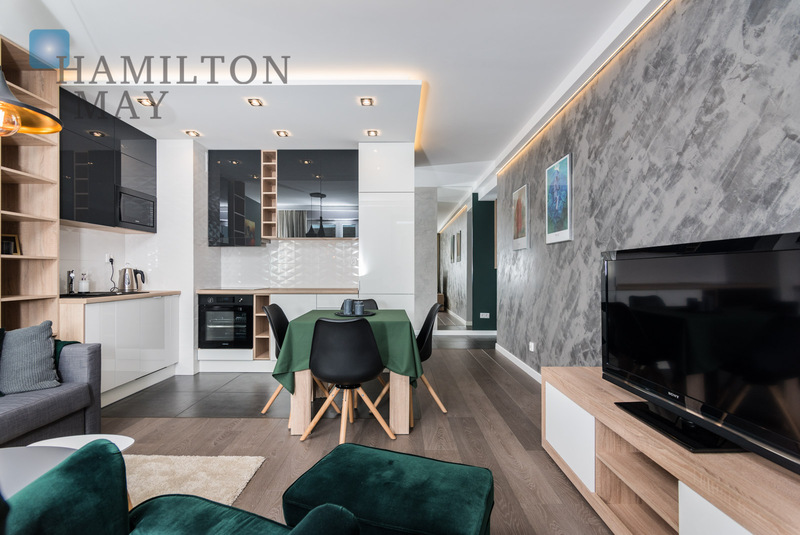 We invite you to contact our offices to arrange a viewing of this property or acquire more detailed information.